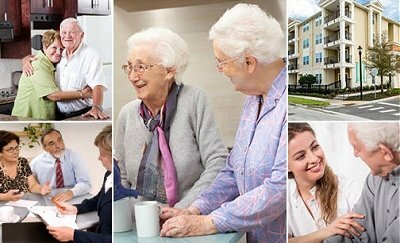 DID YOU KNOW...According to the U.S. Census Bureau, in 2010 there were 3.8 million people in Texas age 60 and older; they made up approximately 15 percent of the total Texas population of 25 million. This group is one of the fastest -growing populations in Texas, and is expected to more than triple between 2010 and 2050. By 2050 this group is expected to grow to 12 million. 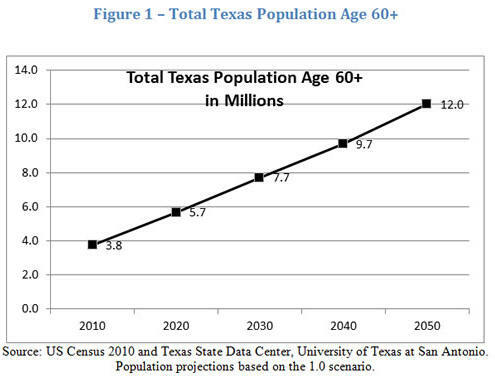 The proportion of Texas’ population that is over 60 is growing while the proportion that is under 60 is shrinking. 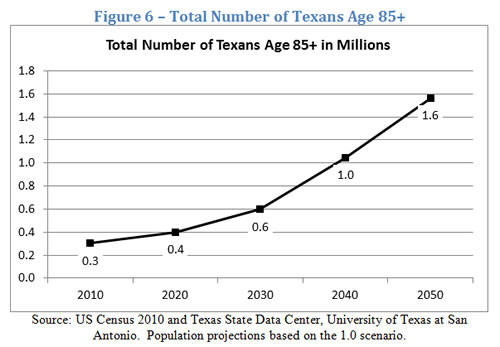 The U.S. Census Bureau estimates that more than 20 percent of Texas’s population will be over age 60 by the year 2030, an increase of close to 25 percent from 2012.